This cabinet card shows John Gideon Haskell, (1832-1907), Civil War veteran and architect for the state of Kansas. He migrated to Lawrence, Kansas, in the summer of 1857, to begin his architectural career but a severe drought and the start of the Civil War put his future plans on hold. In July of 1861, Haskell was mustered into service as assistant quartermaster general of Kansas and he was appointed as quartermaster for the Third Kansas and the Tenth Kansas Volunteers. He, also, served as assistant quartermaster on the staff of General James Blunt and later became chief quartermaster of the Army of the Frontier. After the war, Haskell resumed his profession with the appointment, in 1866, as the architect for the state of Kansas. During his tenure, he designed the east wing of the Kansas Capitol and was responsible for overseeing the entire construction of the capitol. In addition to his responsibilities at the statehouse, Haskell was the chief architect for the Chase County Courthouse, the Douglas County Courthouse and many of the buildings at the University of Kansas. 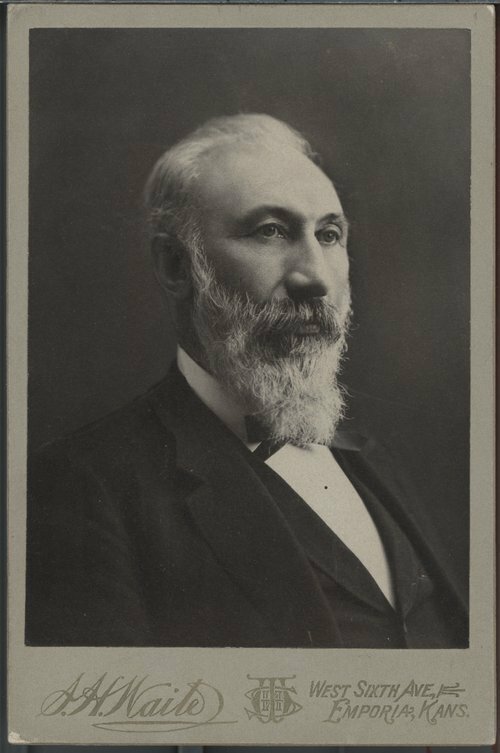 In 1907, after a long and successful career, John Gideon Haskell passed away at the age of seventy-five after a sudden illness at his home in Lawrence, Kansas.